Anyone wanting to spend their holidays in the countryside without compromising on culture is sure to find something to suit them in Germany’s array of towns and cities. The many smaller destinations prove that culture and leisure options are not solely confined to major cities – it is the smaller towns in particular that boast a strong cultural heritage along with historic attractions and nature and relaxation. Families in particular enjoy the natural peace and quiet and make the most of the opportunity to disconnect from the hustle and bustle of everyday life together. Here are eight destinations that are sure to surprise you! Bad Oldesloe is in an idyllic, green setting, where the rivers of Trave and Beste meet. The stunning Brenner Moor nature reserve stretches out just outside the city gates: the incomparable landscape offers fantastic natural experiences for hikers, cyclists and leisure sports fans. 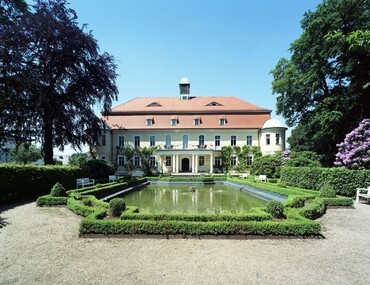 Culture vultures can discover Schloss Blumendorf and the Benedictine Nütschau Priory in the surrounding villages. Anyone wanting to disconnect completely from everyday life is in the right place at TRYP by Wyndham Bad Oldesloe Hotel, which offers guests 140 hotel rooms and two restaurants serving regional specialities. You can relax in the wellness area with two saunas or enjoy a spa treatment from the trained massage team. Offenburg is a town made up of several exciting aspects: an exhibition and media centre, a cultural and shopping centre, and a centre for wine. 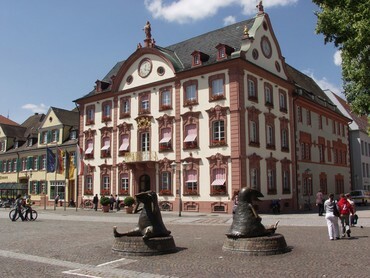 The EHM Hotel Offenburg City is situated in the town centre, where you can visit the historic town hall, the royal court and the Kreuzkirche on a friendly tour. Anyone wanting to find out more about the town’s history can use Offenburg as a base to discover Freiburg, Karlsruhe and Strasbourg. The area surrounding the hotel in Offenburg is also a paradise for lovers of nature and outdoor sports. Take the whole family to the national and adventure parks to discover the wealth of flora and fauna in this leisure region. Fancy a little more action during your holiday with the family? Then a visit to the Europa-Park Rust, just 40 km away, is highly recommended – travel on the tempestuous wooden rollercoaster or on the ‘Silver Star’, one of Europe’s highest rollercoasters! The cultural and UNESCO city of Kassel, with its architectural highlights like the Schloss Wilhelmshöhe, the renowned Herkules and the documenta-Halle art museum, is well worth a trip no matter what the season. However, it is in autumn that the city exudes a unique charm: the colourful natural environment forms the ideal backdrop to the city with its fountains, waterfalls and aqueducts. The large water feature in the Bergpark, created under Landgrave Charles I, was a true feat of architecture and engineering at the time, and is a landmark in art and garden history – an absolute must-see! Whether you’re playing on the golf course, climbing at the Kaltenkirchen high ropes centre, or feeding animals in the Eekholt Wildlife Park – the TRYP by Wyndham Bad Bramstedt Hotel is tailored-made for a family trip. The 4-star hotel is in the heart of the city triangle of Kiel-Lübeck-Hamburg, making it the ideal starting point for outings to the North and Baltic Seas, Holstein Switzerland, Schleswig-Holstein and Hamburg. Would you like to unwind after a trip or enjoy a wellness day? With its green surroundings and the abundance of mud baths, the health resort known as Moorheilbad is ideal for rest and relaxation. The hotel is home to a cornucopia of wellness facilities including a swimming pool, two whirlpools, a Finnish sauna, steam bath and a solarium. What more could you want? Does your child dream of becoming a knight, or of meeting a castle ghost? If so, come to Hotel Schloss Schweinsburg! This hotel in Zwickau is something truly special: the princely room in the turret of the historical Wasserburg, the exquisite Baroque garden, the historic Knight’s Hall and the magnificent Ladies Lounge are true highlights for all guests and visitors. Zwickau itself, with its wonderful old town, is also worth a visit – amble along the narrow streets and discover the little restaurants and cafés around St Mary’s Cathedral. Theatre-lovers will find that the city offers a varied programme: the Gewandhaus at the main market, the Zwickau Plauen theatre and the music theatre regularly put on fantastic shows. Book your stay at Hotel Schloss Schweinsburg now and spend your autumn holidays in style! Weimar can be described in many ways: the El Dorado for culture fans, the cradle of the Bauhaus movement, the home of Goethe, Schiller and Liszt, and crucial testimony to Weimar-era Classicism. The picturesque town in the heart of Thuringia offers numerous attractions, museums and great landscape parks, as well as the renowned German National Theatre, founded by Anton Hauptmann. The Park Inn by Radisson Hotel Weimar is set in a quiet location on the edge of the city of Weimar, and the convenient transport links mean that you can reach the city centre in just ten minutes. But the wealth of wellness facilities here guarantees relaxation: a swimming pool, Finnish sauna, and steam bath offer first-class recreation. Berlin is not merely a thriving metropolis; it also offers plenty of nature and unspoiled bathing lakes in its surroundings. The largest of the Berlin lakes, the Müggelsee, is a popular autumn outing destination for locals and tourists alike. The 4-star Hotel Müggelsee Berlin is located in the heart of a nature reserve, making it ideal for families wishing to experience the unique natural environment on the edge of Germany’s capital. The spacious hotel complex includes a forest, extensive parklands and, of course, private access to the Müggelsee, one of Berlin’s most beautiful lakes. Whether you’re hiking, cycling or walking – the green surroundings of this hotel offer you fantastic recreational enjoyment. Bicycles, including bikes suitable for children, can be hired from the hotel, and children can enjoy discovering nature along the hotel’s nature trail. The hotel’s bowling alley is ideal for a fun evening with the whole family. Just outside Berlin’s city limits is a little paradise for all those wanting to escape the urban hustle and bustle: the lovely Liebenwalde in the Oberhavel district can be reached from Berlin in just 45 minutes. Set in the heart of forests, rivers and seven lakes, Liebenwalde is a popular starting point for walks or cycling trips through the local countryside and for expeditions by canoe or boat. 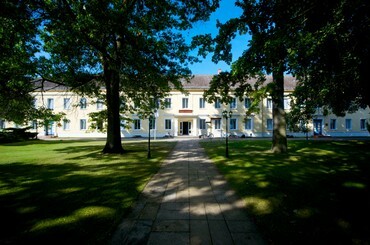 The Days Hotel Liebenwalde Preussischer Hof is in the heart of the Brandenburg countryside, right by the Havel river. The hotel is especially popular with families: our Tomaluli Tobehof gives children 6,600 sqm of space in which to climb and play to their hearts’ content, both indoors and outdoors. Adventures for the kids, relaxation for the parents: the wellness hotel offers guests a country-style swimming pool, a comfortable oasis of calm, a Finnish sauna, whirlpools and a steam cabin – ideal for a wellness trip to escape everyday life!